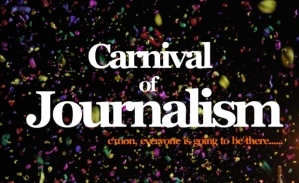 Carnival Of Journalism: What Emerging Technology Or Digital Trend Will Upend Journalism Next? It’s been awhile since I’ve had time to post on the Carnival of Journalism, and I’ve missed it. For the uninitiated, once a month a group of us journalism geek types get together and write about the same topic, directed by a different host each time. This month’s question is one I’m asked regularly — what is the next big thing that will upend journalism? And I’m going to tell the truth — I haven’t the foggiest idea. My collision with emerging technology and digital trends began in March 2006, when my then-employer told us we were embracing a digital future. I jumped in feet first, trying out new things like my daughter changes her shoes. So that gave me an idea on how to tackle this topic. I decided to jump back to 2006 — the beginning of my transformation from an old-school print journalist (I began my career using a typewriter) to a multimedia amazon — to see what tools and technologies were being touted to journalists. Flock, touted as the “ultimate blogging tool for journalists” – this was a web browser that was touted as being designed specifically for social media and Web 2.0 applications. Writely, a web-based word processor that eventually morphed into Google Docs. 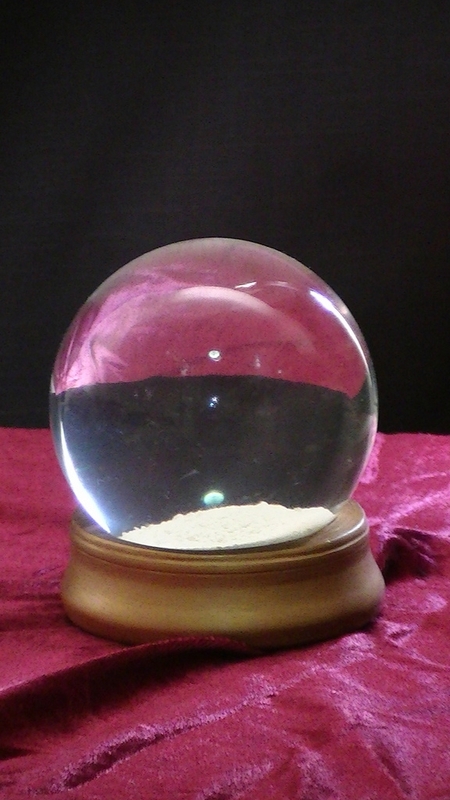 PodZinger, which used speech recognition technology that could turn podcast audio into searchable text, according to TechCrunch. Co.mments, an online tool designed to allow users to track online comments. Furl, a free service that allowed users to store copies of web pages then search them and share results later. I could go on, but you get my point. How many of you actually used some of these tools? How many of you even remember these tools? Most of them are either gone or have morphed into other tools or merged with other companies. Which brings me back to my original point — I have no idea what the next technology or trend is around the corner for journalists, but I can’t wait to see what it is! Whenever I hear the term video in the newsroom, a picture forms in my mind of me, a broadcast journalism senior at American University (Go AU! ), swimming in Sony Betamax video tape (just Google “Betamax,” kids). I was always causing the Betamax video editing deck to chew up tapes, causing my professors to think I was cursed. That, along with a bad internship at a local D.C. television (among other things), was enough to make me abandon my plans to be a video producer/editor and run to print journalism back in 1985. I was happy knowing the worst thing that could happen to me as a print journalist was a leaky ink pen. Fast forward to 2006, when the digital world — including video — hit me right in the face. But it was OK. Growing up all over the world as an Air Force brat made me nimble and quickly able to adapt to any and all new situations. So I embraced the digital world with gusto. I started one of Aviation Week’s first blogs (the dearly departed Towers and Tarmacs). I harkened back to my days at AU’s campus radio station, WAMU-AM, and learned how to edit and produce podcasts. I bought my own still camera, shot and posted more than 7,000 aviation/airline photos on my Flickr account, many of which have graced the pages of Aviation Week magazine and AviationWeek.com. I oversee three AvWeek Twitter accounts (@AviationWeek, @AvWeekBenet and @AvWeekTweets) and am one of three administrators of the Aviation Week Facebook fan page. I’m always trying out the latest tools and toys on my iPhone. But when it comes to video, I hit the brick wall. My company uses it on our website, but usually only in conjunction with major events, like the Paris Air Show or the first delivery of the Boeing 787. We have two portable video studios, and we were offered video training, but most of us aren’t doing it. It comes down to two questions: one, is there enough demand — by viewers and sponsors/advertisers — to justify the expense of creating and posting videos; and two, is there enough time in the day for our editors to learn how to shoot video and use Final Cut Pro to produce packages that are good enough to go up on the web? I have taken video workshops at many NABJ conventions and spent a week down at the Poynter Institute for a really great week-long video storytelling program. But video still confounds me, and I think we’re still trying to figure out its role on our website. We’ll see what the future brings. Carnival of Journalism: What Tools Do You Use To Work Smarter? I am one of those people who love the latest in tech tools, toys, apps and programs that help me do the business of journalism. Every Friday on this blog, I share some of my favorites as part of the Fast Five series. Twitter: this program (and its accompanying tools and apps) has become my number one tool to getting the job done. I use it to post stories, find sources, get story ideas and crowdsource for information. I use Echofone on my iPhone, UberSocial on my Blackberry and split between TweetDeck and HootSuite on my desktop. And a bonus for me is both TweetDeck and HootSuite give me access to Facebook, which I don’t use as much as a professional tool. 10000 Words: this website is at the top of my Google Reader. Ever since Mark Luckie started it up, it has been my go-to site to keep up with all the latest in tips, tools, apps, websites specifically targeting journalism. iPhone 4: my dad bought me the 32 GB version for my birthday last year, and I thank him for it every time we speak. I can update my WordPress blogs, shoot live video with Ustream, edit video with iMovie, access all my contacts using LinkedIn and Plaxo, take and send pretty good photos, record interviews/podcasts and post them on AudioBoo, I can check the AP Stylebook and upload to my YouTube channel. Oh – I can also make phone calls! A tie – The Digital Journalist’s Handbook by Mark Luckie and the No-Fear Guide to Multimedia, by Prof. Mindy McAdams: when I started on my road to multimedia nirvana, these two guides were extremely helpful. Even today, I still look at them as inspirations. A pad and ink pen: amazingly enough, this is still a very effective tool for getting your stories. I always have at least one pad and three ink pens on me at all times. I love all the stuff that has helped this old-school journalist make the transition and keep up (somewhat) with the kids. But I always emphasize that while you can have all the tools in the world, they aren’t worth a pitcher of warm spit (hat tip to former FDR VP John Nance Garner) if you don’t have the basic writing/reporting/editing skills down pat. So have fun with the toys, but don’t forget the skills that actually make you a journalist. Carnival of Journalism #FAIL: Step AWAY From The Spell Check, Kids! When I saw the topic for this month’s Carnival of Journalism — a failure in your life (personal or professional) that has lessons — I felt myself cringe. Because as soon as I saw the world “failure,” I knew immediately what I was going to write about. And even though this happened at the beginning of my journalism career, some 25 years ago, my face still burns and I feel tears swell in the back of my eyes when I think about it. We had just gotten IBM-PCs, upgrading from electric typewriters, which was a BIG deal (yes, kids, I know I’m dating myself). Before the PCs, we used 5-sheet carbon paper to type our stories, and one sheet was always used for editing and proofreading. And we always had another set of eyes checking things out. So week three into the grand PC experiment, I wrote a story about the passage of a major bill that brought more funding to federal employment and training programs. It was a pretty big deal (since President Reagan had been cutting programs left and right), and I was assigned to interview the legislators who pushed the bill through. It was a thrilling assignment, because I got to interview one of my personal heroes, Rep. Augustus Hawkins (D-Calif.), an African-American politician who was a legend in civil rights and organized labor. I wrote the story and sent it in. But there was one problem — my headline. It should have read “Legislators Applaud Passage of New Public Training Bill.” But it actually read “Legislators Applaud Passage of New PUBIC Training Bill.” See the difference? Ouch! Now, I wasn’t the only person that missed it as it went to press. But I wrote the original headline and it was under my byline, so I had to take the hit. Back then, once it went to the printer, that was it. So as subscribers started receiving it, I started getting calls from industry friends and sources making jokes about the headline, most of which I can’t print in this fine family blog. So to this very day, I print out my stories and read them — carefully. Yes, I still use spell check, but it is never my last line of defense. So there it is. It was a #fail that still haunts me, but it’s also one that has helped shape me into a better journalist. Yes, it’s that time again — step right up and join the Carnival of Journalism. For the occasional reader, the carnival is the brainchild of David Cohn, founder of Spot.Us and a current Reynolds Journalism Institute fellow. Every month, a group of us is asked to blog about a specific topic. He gave us two choices this month: after a five-year, $25 million investment, what would be the next step for the Knight Foundation to further its mission to drive innovation in journalism; or the Reynolds Fellowship is just 4 years old. How would you shape the fellowship to drive innovation? I’m going to tackle question two, because I think programs like the Reynolds Fellowship will be key in helping shape the ongoing innovation — and change — we’re seeing in the practice of journalism. I consider myself someone who tries to keep her finger on the pulse of what’s going on in the fields of training and innovation in our crazy industry, especially as co-chair of the National Association of Black Journalists’s Digital Journalism Task Force. But I have to admit, I had never even heard of the fellowship until I learned about it in a random tweet late last year on the @NABJDigital Twitter account. So I’m going to offer a new twist on my ongoing diversity theme. I would encourage the Reynolds Journalism Institute to make more of an effort to attract more diverse fellows to the program in the widest sense of the word. The program has done a good job of including women, but I’ d love to see not only more people of color, but I’d also like to see folks including early career journalists, citizen journalists/news bloggers and entrepreneurs looking to improve journalism. To this end, I would encourage the institute to tap past fellows and key staff members to leave the friendly confines of Columbia, Mo., and send them to events where there are gatherings of more diverse journalists, including organizations like NABJ, the South Asian Journalists Association, the Society of American Business Editors and Writers and even Blog World & New Media Expo. Use these events to speak about the fellowship and why attendees should consider applying for it. Many journalism organizations have events year round, including webinars, one-day workshops and meet-ups that the institute could tap to get the message out about the fellowship. And many more journalism organizations have blogs, magazines and eletters that the institute could use to tout the benefits of the fellowship and encourage folks to apply. The Reynolds Journalism Institute’s website is a font of information on things including upcoming events and training. I had no idea these resources were there, so staff should do more outreach to offer these resources to journalism schools and organizations as a way to not only get a foot in the door to reach potential fellows, but also to keep the institute’s mission front and center 365 days a year and serve as a training resource for those who don’t apply for the fellowship. The Reynolds Journalism Institute is currently taking applications for its 2011-2012 class. I encourage my fellow journalists with an idea that will offer solutions to keep our industry viable to consider applying. I especially encourage those who normally don’t consider these types of programs to seriously look at what the institute has to offer. In aviation, pilots follow check lists covering takeoff, flight, before landing and after landing on each and every flight. They take it seriously, and never treat it like a rote exercise, because the safety of passengers is at stake. I urge the Reynolds Journalism Institute to create its own check list specifically to expand the diversity of the Reynolds Fellows program and make its programming more widely available to the journalism community. The future of our industry depends on the efforts of the Reynolds Journalism Institute and other teaching organizations to prepare us all for rapid change.